5-6 weeks on the beautiful East Coast of Australia! 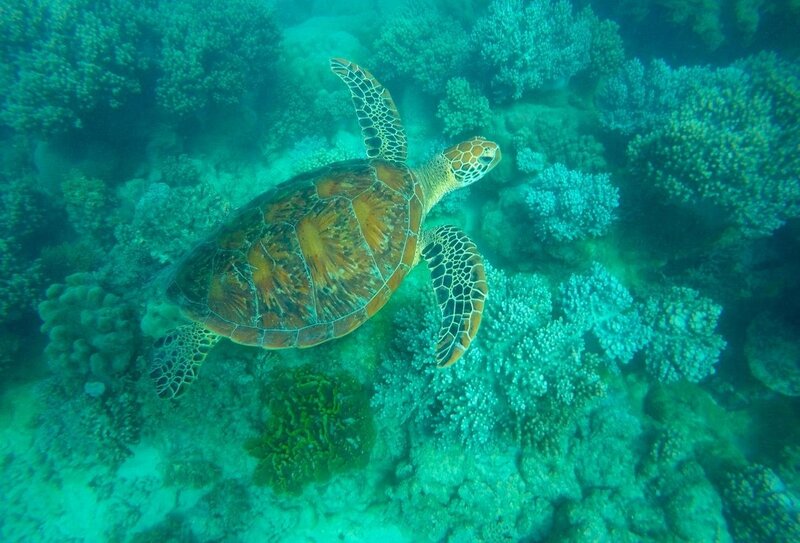 Swim in the Great Barrier Reef! Australia’s East Coast is a truly spectacular part of the world, full of dreamy beaches, stunning islands and epic cities. Unlike many whistle-stop tours, this 5 week adventure from Sydney to Cairns travels at a steady pace, allowing you plenty of time to explore each of the stunning stop-offs on the route, including Byron Bay, Brisbane, Noosa, Airlie Beach, & more! 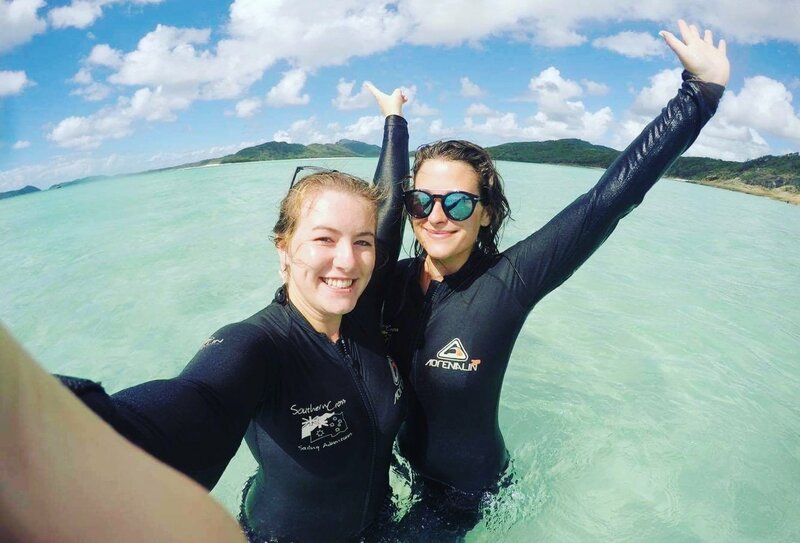 You’ll also enjoy a huge range of awesome included activities, including a 2 night cruise around the Whitsundays, a surf lesson in Byron, a Fraser Island camping experience, and a snorkelling boat trip to the Great Barrier Reef! Plus, to supercharge your adventure you can book our 6 week option and enjoy extra time in and around Sydney! It’s the ultimate introduction to this backpacker paradise! Sail around the gorgeous Whitsundays on a live-aboard maxi yacht! Discover the dramatic Atherton Tablelands and the spectacular Great Barrier Reef! Book the 6 week option and enjoy an extra week in and around Sydney before your tour begins. Includes a harbour cruise, a 2 day Bondi Beach escape, & more! Kick off your Aussie adventure with fun in Sydney with an optional one week Sydney add-on! Kick off your Aussie adventure with fun in Sydney with an optional one week Sydney add-on! Day 1: Start your adventure today in Sydney, and explore Australia's most famous city! Day 1: Start your adventure today in Sydney, and explore Australia's most famous city! Days 2-5: Head to the famous Byron Bay to relax, and have a surf lesson! Days 2-5: Head to the famous Byron Bay to relax, and have a surf lesson! Have surf lesson in the famous Byron Bay! Days 6-8: Explore Surfers Paradise, famous for it's nightlife and awesome waves! Days 6-8: Explore Surfers Paradise, famous for it's nightlife and awesome waves! Dance the night away in Surfers Paradise! Days 9-10: Arrive in Queensland's capital, Brisbane and check out this buzzing city! Days 9-10: Arrive in Queensland's capital, Brisbane and check out this buzzing city! 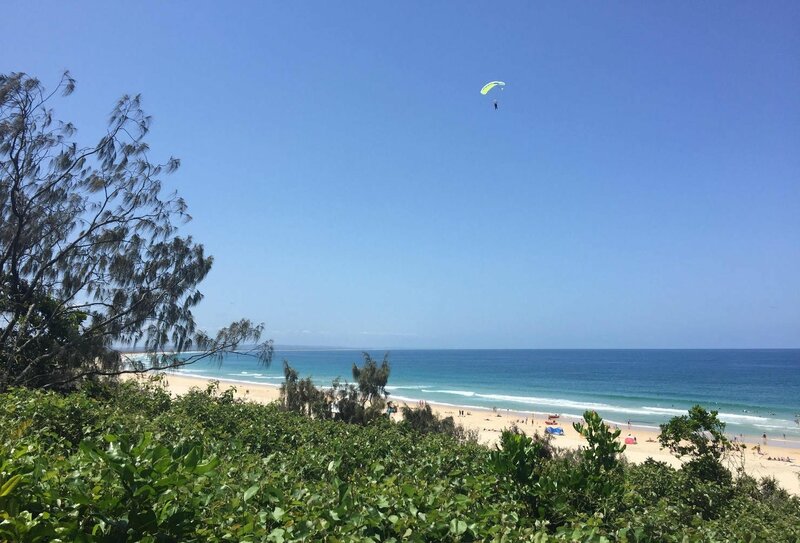 Days 11-12: Enjoy the tranquil surroundings of Noosa, and take in the amazing views! 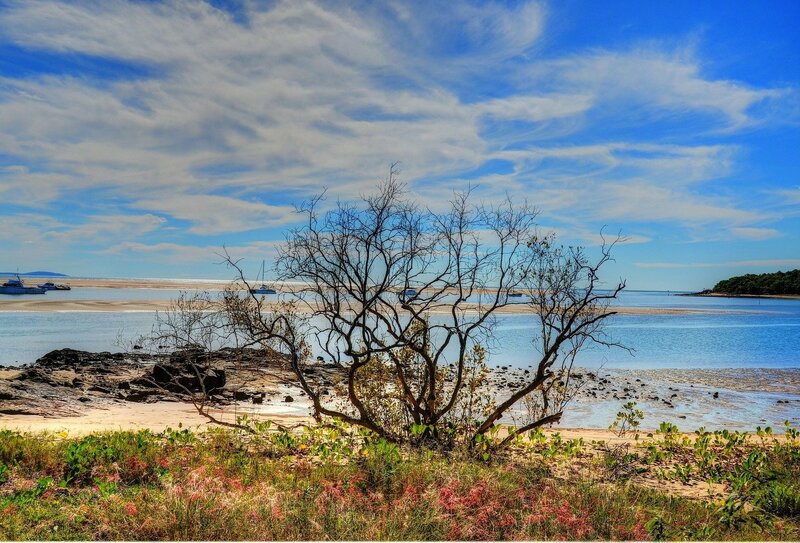 Days 11-12: Enjoy the tranquil surroundings of Noosa, and take in the amazing views! Hike to heaven in Noosa! Days 15-17: Hop over to Fraser Island, and cruise around by 4x4! Days 15-17: Hop over to Fraser Island, and cruise around by 4x4! Hop in a 4x4 to cruise Fraser Island! Days 18-20: Head to the sleepy town of 1770, and enjoy a traditional campfire! Days 18-20: Head to the sleepy town of 1770, and enjoy a traditional campfire! Day 21-23: Sail around the stunning Whitsunday Islands, and see the famous shifting sands of Whithaven Beach! 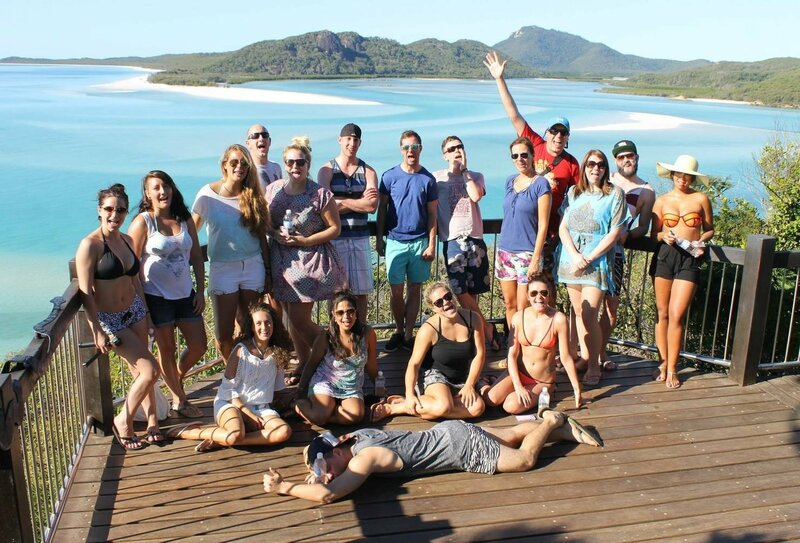 Day 21-23: Sail around the stunning Whitsunday Islands, and see the famous shifting sands of Whithaven Beach! See the famous sands of Whitehaven beach on the Whitsunday islands! Days 24-25: Arrive back on the mainland, and relax on Airlie Beach! Days 24-25: Arrive back on the mainland, and relax on Airlie Beach! Day 26-28: Go koala spotting on Magnetic Island, and enjoy the island's amazing scenery! Day 26-28: Go koala spotting on Magnetic Island, and enjoy the island's amazing scenery! 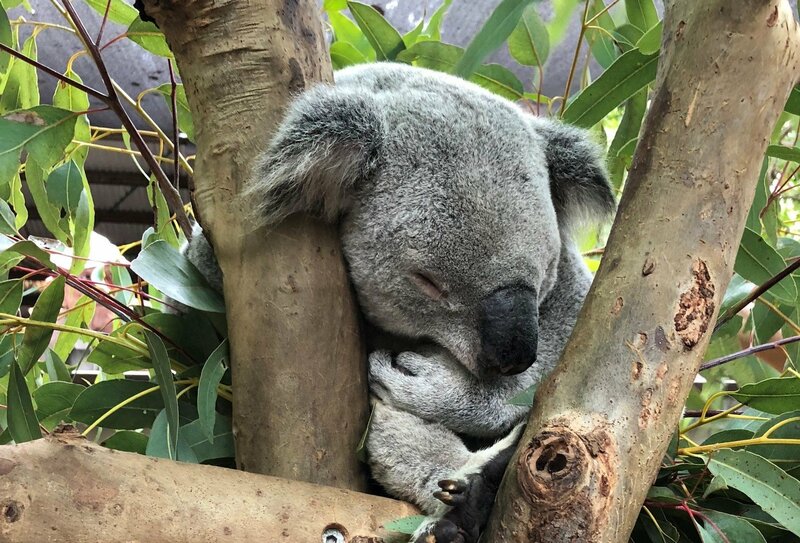 See if you can spot a koala on Magnetic Island! Days 29-30: Take in the gorgeous sunsets on Mission Beach, and learn about aboriginal culture! 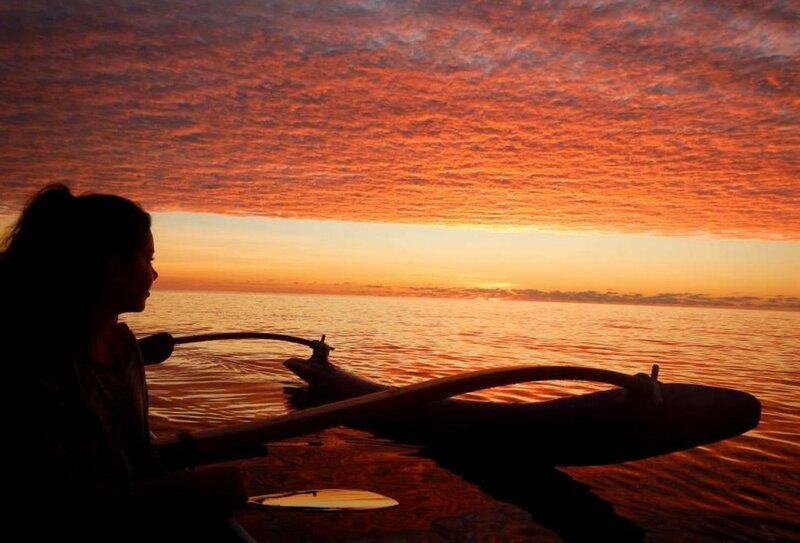 Days 29-30: Take in the gorgeous sunsets on Mission Beach, and learn about aboriginal culture! Day 36: Say goodbye to your group, or why not continue the adventure in Australia with the Cairns Adventure? Day 36: Say goodbye to your group, or why not continue the adventure in Australia with the Cairns Adventure? Watch the sunset on Fraser Island! 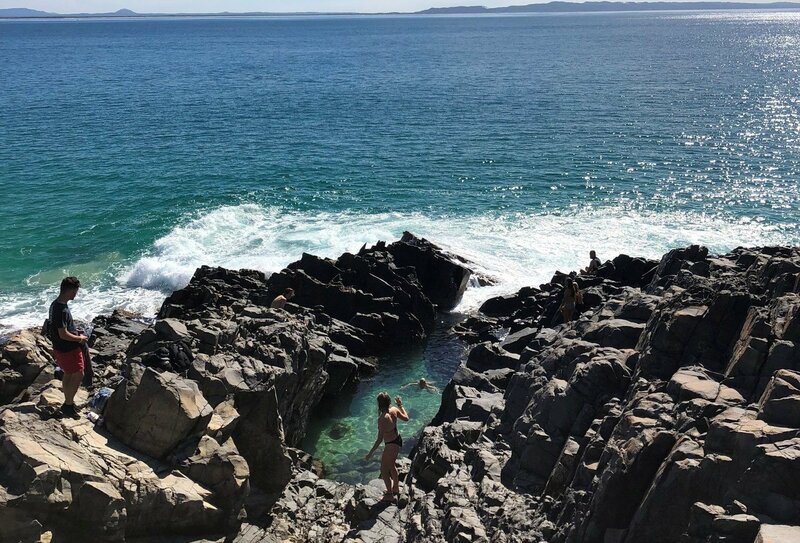 Hike through the stunning scenery in Noosa! 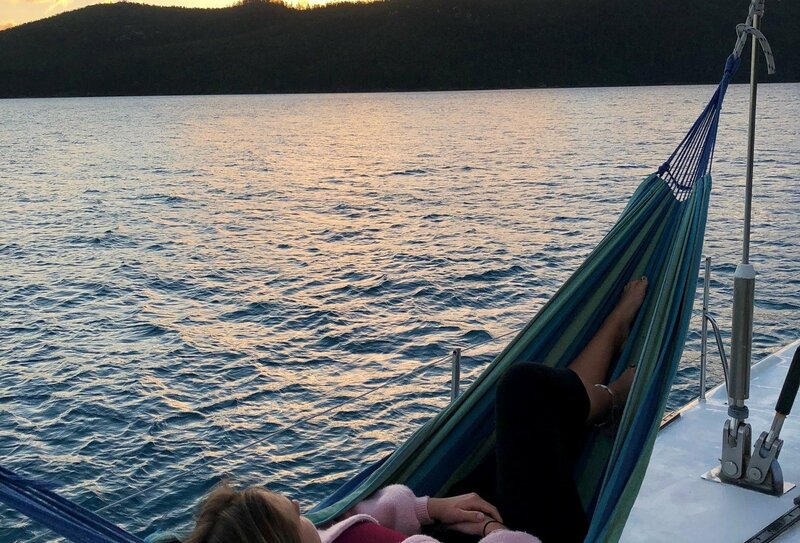 Relax and what the landscape go by sailing the Whitsunday's! Have an incredible time sailing the Whitsunday Islands! 6-week option only: Welcome dinner, Sydney harbour cruise, Bondi Beach yoga, Sydney party night, Coogee to Bondi Coastal Walk. Local taxes: Fraser Island insurance levy (AUD10) & Great Barrier Reef Conservation levy (AUD20). The 5 week tour only includes 1 day in Sydney. If you fancy extending your time here, book our 6 week option and enjoy an additional 7 days in and around Sydney before your East Coast tour begins! Enjoy a city tour, a trip around Sydney harbour on board a private catamaran, a 2 day getaway on Bondi Beach, a Sydney bar crawl and a walk from Coogee to Bondi, one of the world’s most beautiful coastal walks. You also have the chance to join a day trip to the spectacular Blue Mountains too! On day 8, you’ll join the 5 week trip and follow the itinerary below. Choose the 6-week option from the drop-down menu in the booking section to see trip dates and prices. Day 1: Sydney. If you book the 5 week option, your awesome East Coast adventure kicks off today in Sydney. Meet your guide and the rest of your group and head out into the city for a guided tour, taking in Sydney’s biggest and best sights. Then, board an overnight bus that’ll take you up the coast to Byron Bay. Please note: You will meet the rest of your group and guide at around 11am this morning. Due to this early start time, we recommend you arrive into Australia the day before and book an extra night of accommodation in Sydney. An airport transfer is included. Please speak to a travel advisor for more information. If you have booked the 6-week tour, you will have today free and then meet the rest of the group at around 4:30pm for the welcome meal. Day 2-5: Byron Bay. Spend your days here relaxing on the perfect golden beaches and cooling off in the gorgeous aquamarine waters. Enjoy an included surfing lesson, explore the coast, visit the Byron lighthouse, relax with a morning yoga session on the beach, and live the high life with a wine & cheese night! Days 6-8: Surfers Paradise. This stunning city is legendary for its epic waves and buzzing nightlife. Put your new surfing skills to the test, or simply lay back and soak up the sun. After a few days of relaxing, swimming, surfing and partying, get together with the group for an Aussie tradition: a sausage sizzle and a couple of cold ones! Days 9-10: Brisbane. Another day, another epic East Coast stop-off! Today, you’ll discover Brisbane, a glistening city of towering skyscrapers and vast rivers. Enjoy a guided tour of the city, and check out the man-made Streets Beach, the perfect place for a cooling dip on a hot day! Days 11-12: Noosa. Get away from the skyscrapers as you venture into the lush landscapes of Noosa. Surrounded by thick green forests and stunning sandy shores, this east coast gem is simply gorgeous. Enjoy a hike along the coast, bask in beautiful panoramic views, or chill by the beach and watch an out-of-this-world sunset. Bliss. Days 13-14: Rainbow Beach. This exquisite stretch of coast is pure paradise. Enjoy a hike along the beach and watch the sunset over Fraser Island (your next East Coast stop!). The next day, you’ll hit the water on a dolphin encounter! You’ll never forget an up-close encounter with these wonderful creatures! Days 15-17: Fraser Island. Today, you’ll leave the mainland behind and transfer across to beautiful Fraser Island. On the island, you’ll drive across the sand in a 4x4, stopping off for a swim in the crystal-clear waters of Lake McKenzie, and taking a dip in the incredible champagne pools. You’ll also enjoy the views from the Indian Heads Lookout before making camp on the beach with your group, and watching the stars appear overhead. Days 18-20: Town of 1770. Discover the sleepy town of 1770, with its untouched beaches and beautiful sea-views. Your days here are an opportunity to relax and unwind, as well as take a break on the journey up the east coast! Sunbathe and splash by the pool, and wander the coastal trails. On day 20, you’ll board an overnight bus to Airlie Beach. Days 21-23: Whitsunday Islands Cruise. Arrive into Airlie Beach this morning and enjoy a refreshing swim in the harbour-front lagoon. The next morning, you’ll board a spectacular sailing yacht and cruise around the dreamy Whitsunday Islands. Your yacht will take you past stunning islands and beaches, stopping off for snorkelling and swimming in some gorgeous surroundings. This is the ultimate in relaxation and adventure! Days 24-25: Airlie Beach. 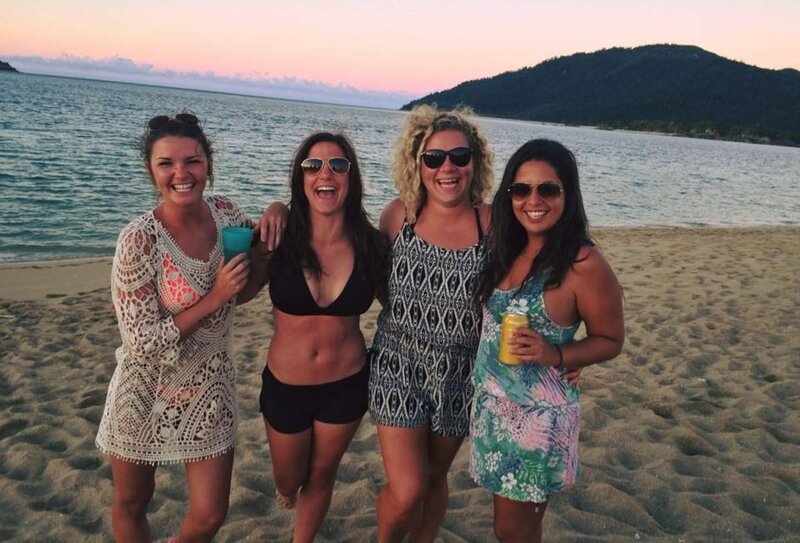 Enjoy a post-island party night with your group and explore the gorgeous national park that surrounds Airlie Beach. If you want to max out on adventure, opt to see the Whitsundays from above in a helicopter (extra cost)! 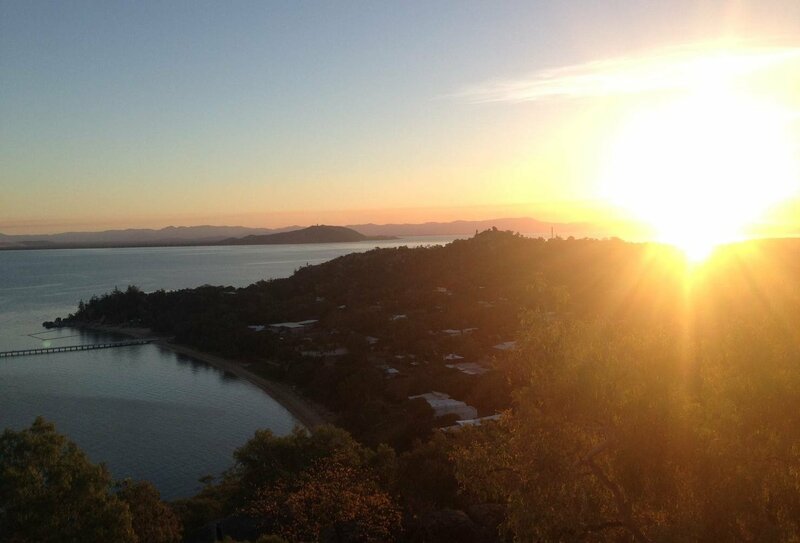 Days 26-28: Magnetic Island. 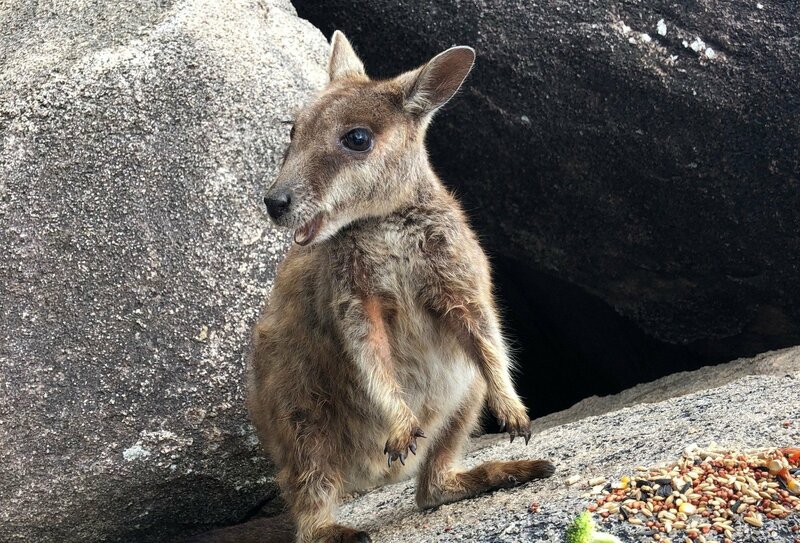 See some famous Aussie critters up close today as you explore Magnetic Island. Wander the island and enjoy its beautiful beaches. Snorkel in the shallows, enjoy a guided Forts Walk that takes in some of the best viewpoints on the Island, and relax at your accommodation. Days 29-30: Mission Beach. Your penultimate stop is Mission Beach, a tropical paradise where golden sands and green palm trees fringe an ever-perfect blue sea. While here, you’ll explore the neighbouring National Park, home to the Djiru Aboriginal people. Days 31-35: Cairns. The final stop on this epic East Coast Tour! You’ll spend 5 full days here to make the most of this fantastic backpacker destination. Enjoy awesome included activities, including a day-trip to the dramatic Atherton Tablelands, and a snorkelling boat trip to the Great Barrier Reef, where you can see turtles, stingrays, nemo fish and more! Your final two days are a chance to relax, sunbathe, party and enjoy your final moments on this epic tour. Day 36: Tour ends. Your tour ends this morning in Cairns! Say goodbye to your group and guide and either head to the airport or stick around for more independent travel adventures! If you can't get enough of the East Coast, why not add on this exciting adventure package when your tour ends? For any traveller searching for an adrenaline rush this is a great way to make the most of all of Cairns’ most spectacular sights and awesome activities. Get your pulse pumping as you take a rapid ride on the Tully River with a day of white water rafting; take a sea kayak tour and have fun on Fitzroy Island; blow your mind on a soaring balloon flight above the Atherton Tablelands and snorkel in an underwater world at the gorgeous Great Barrier Reef. It’s the perfect way to end your Aussie adventures! You will spend a total of 6 extra nights staying in Cairns, with four full days packed full of fun, inclusive activities. For further details of the Cairns Adventure package please see this link; to book your Cairns Adventure package please speak to a travel advisor. Please note that itineraries and inclusions are subject to change. For both the 5 week and 6 week options, your tour begins at around 11am on day 1 in Sydney. Due to this early start time, we recommend you arrive into Australia the day before and book an extra night of accommodation in Sydney. Please speak to a travel advisor for more information and assistance in booking this. An airport transfer is included. If you are on the 6 week tour and you do not arrive in time for the 11am meeting, you can meet your group at 7pm that day instead. However this is not possible for those on the 5 week trip as you will be taking the overnight bus out of Sydney that evening. You will need to go to a pre-set meeting point at Sydney airport and a greeter will direct you to the shuttle bus which will take you directly to your hostel to begin your first week of fun and adventure! On your end date the tour will finish in the morning in Cairns. A return airport transfer is not included but is easy to arrange locally. 35 or 42 nights of accommodation are included on this group tour depending on which option you choose. This will mainly be in mixed hostel dorms, sleeping between 4 and 12 people. Two nights will be spent on overnight transport. Two nights will be spent camping on Fraser Island, and two nights will be spent on board a maxi yacht. The majority of the journeys on the tour will be by coach. The coaches used are modern and comfortable, with USB sockets, wifi (connection dependant) and reclining seats. The overnight coaches also have even more legroom (more than most airlines! ), as well as reclining seats, so you'll get a great nights sleep. Some meals are included on this tour (see the trip notes for details). You will need to purchase the majority of meals yourself. Each stop will have a great range of restaurants and backpacker bars where you can find tasty meals. Alternatively, you could prepare meals in the hostel kitchens. Preparing your own meals is a great way to save money. We recommend budgeting around AUD30-50 per day for food and drink. All visitors to Australia (excepting those from New Zealand) will require a visa or e-visa/ETA to enter. These must be applied for before departure, and if you’re planning on working in Australia whilst you’re out here you’ll need a Working Holiday Visa. If you are just heading to Australia for fun however, an ETA will suffice. Both visas can be applied for online. Please feel free to contact us if you need any more information.